Manifold Union There are 8 products. 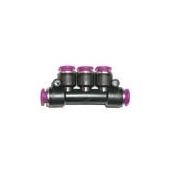 Push-In Air Fitting Manifold Union 1/8"
Part No. mu-5/32-1/8 Tube OD: 1/8"
Push-In Air Fitting Manifold Union 5/32"
Part No. mu-1/4-5/32 Tube OD: 5/32"
Push-In Air Fitting Manifold Union 3/16"
Part No. mu-5/16-5/32 Tube OD: 3/16"
Push-In Air Fitting Manifold Union 1/4"
Part No. mu-5/16-1/4 Tube OD: 1/4"